Communities in Myanmar’s Rakhine state face a “real risk” of radicalisation if ethnic tensions are not addressed, an independent commission says. The panel, led by former UN chief Kofi Annan, says a response combining political, security and developmental initiatives is needed to ensure violence does not escalate. It also suggests lifting restrictions on the Muslim Rohingya minority. Rakhine has seen deadly clashes between Muslims and majority Buddhists. The state, in western Myanmar, is home to more than a million Rohingya Muslims. Tensions with the Buddhist population have been rumbling for years, and tens of thousands of Rohingya have fled to Bangladesh, accusing Myanmar authorities of ethnic persecution.The United Nations has accused Myanmar’s military of committing atrocities during a crackdown on Rohingya Muslims last year. The military rejects the allegations. The Rakhine Commission was formed by Mr Annan last year to look into ethnic reconciliation and improving the state’s welfare, at the request of Myanmar’s leader Aung San Suu Kyi. 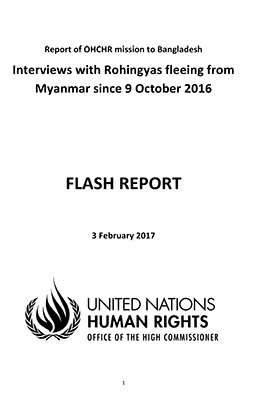 In its report released on Thursday, it said communities in Rakhine were scared of each other and that segregation caused by the violence had made things worse. “Unless current challenges are addressed promptly, further radicalisation within both communities is a real risk,” it said. Video: Who are the Rohingya? It urged the government to increase investment in Rakhine to help alleviate poverty, and recommended restrictions on freedom of movement be ended. At the moment Rohingya displaced by the violence are effectively confined to camps. Communities also face self-imposed restrictions based on fear, something the panel said hindered growth and a return to better relations. 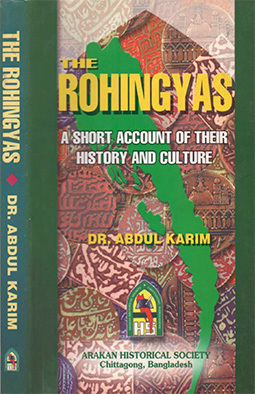 It also recommended reviewing the citizenship law, which currently does not recognise Rohingya as Myanmar citizens. This, it said, had left them marginalised and deprived of political influence, causing frustration. Regarding claims of abuse by the security forces, the report said it was “not mandated to investigate specific cases of alleged human rights violations”. But it did call for an independent investigation and for perpetrators to be held accountable. The military launched a counter-insurgency campaign in October 2016 after attackers killed nine policemen in attacks on Rakhine border posts. 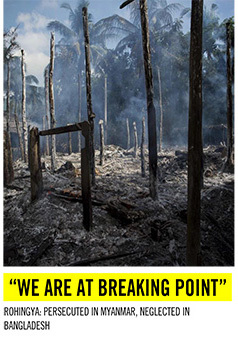 Reports then emerged of killings of Rohingya, destruction of homes, torture and sexual violence. The UN special rapporteur for human rights in Myanmar told the BBC earlier this year that “crimes against humanity” had been committed, and the UN has launched its own probe to investigate alleged abuses by the military. The Myanmar government has been accused of doing little or nothing to help the Rohingya over the years. Journalists’ and observers’ access to Rakhine state has been restricted by the authorities. The panel called for a ministerial-level appointment to be made to oversee the implementation of the commission’s proposals.”There is no time to lose. The situation in Rakhine State is becoming more precarious,” Mr Annan said, urging all parties to follow through “without delay”.